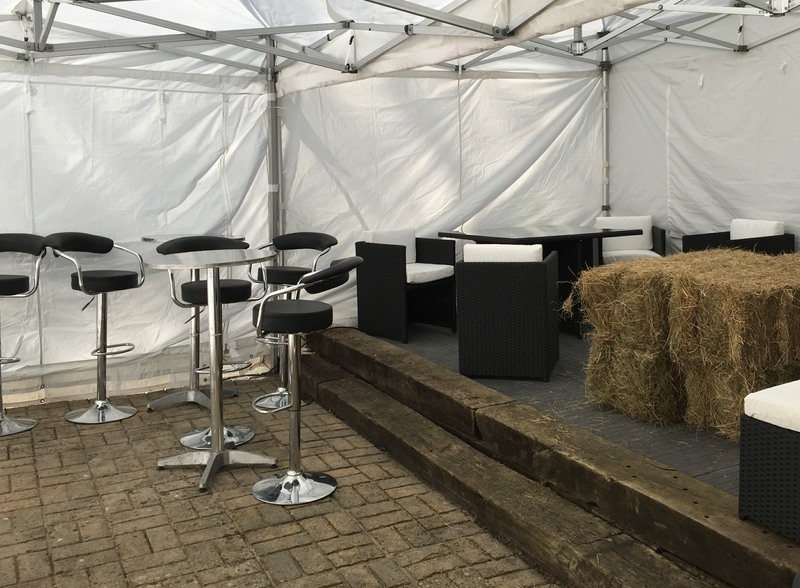 Gazebo Hire will give you the protection for your event this weekend. 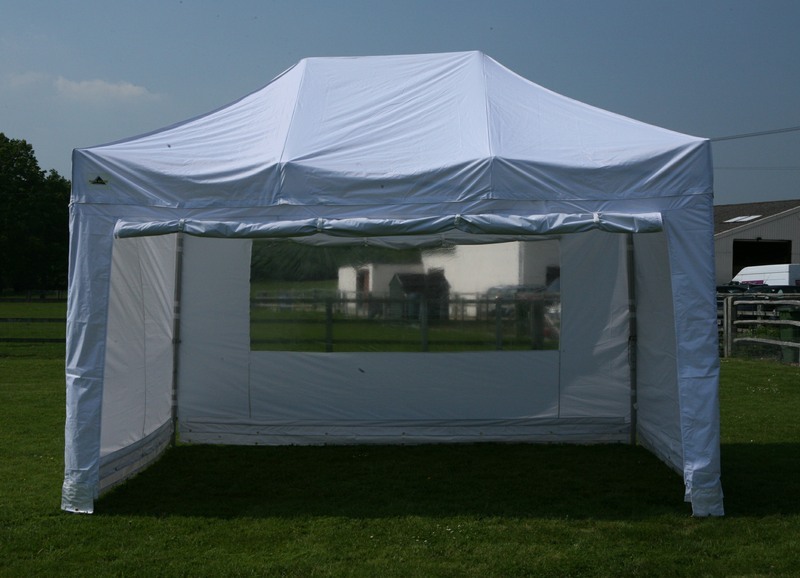 Gazebo 3m x 4.5m or 10ft x 14ft. With 2 people this gazebo will pop up in seconds! 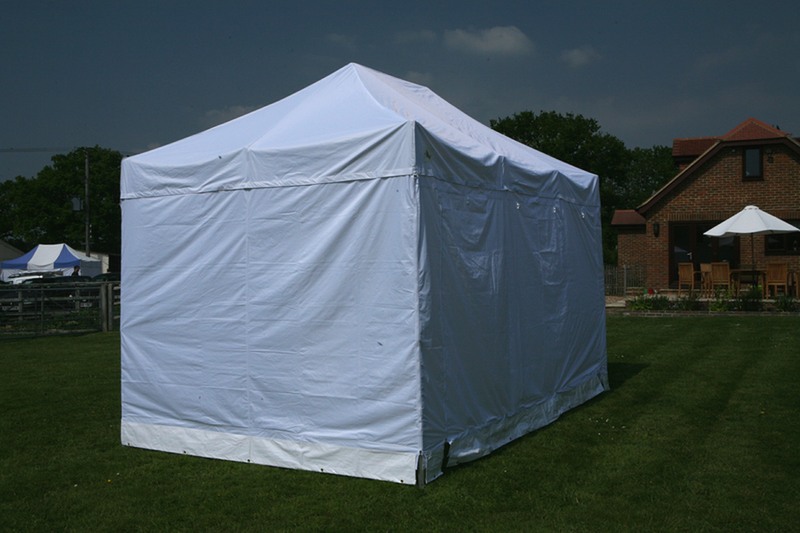 This sized Gazebo for hire provides excellent cover for the small patio or just extra cover in the garden. You can choose to have it with or without walls. The walls simply velcro to the roof and consist of one door that opens 3.5 metres and this can be positioned on either of the two longest sides. A window wall with a cover so you can roll up the cover and have a viewing window or just leave it down as a blank wall. The other two walls are plain walls. All the walls zipp together giving you complete cover 360 degrees. 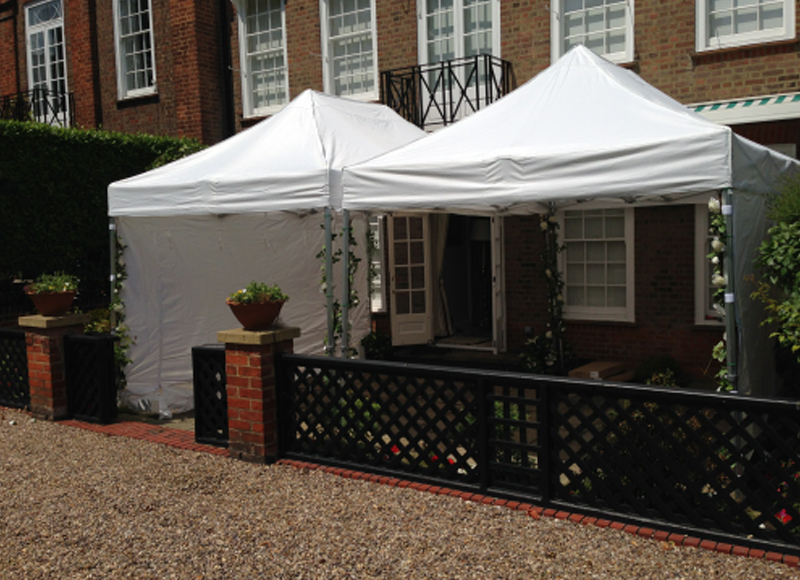 If you need a bigger area we can join the gazebos together with gutters and infills (additional fees). You can also join different size gazebos together to cover odd shape areas. EG a 7.5m x 3m area is a 3 x 3m + a 3 x 4.5m joined together. 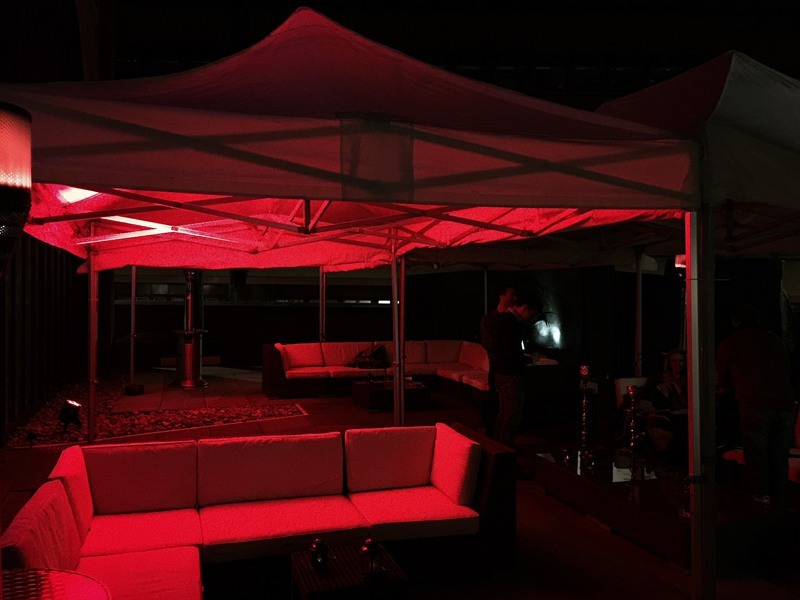 1) Premium Gazebo 3m x 4.5m. 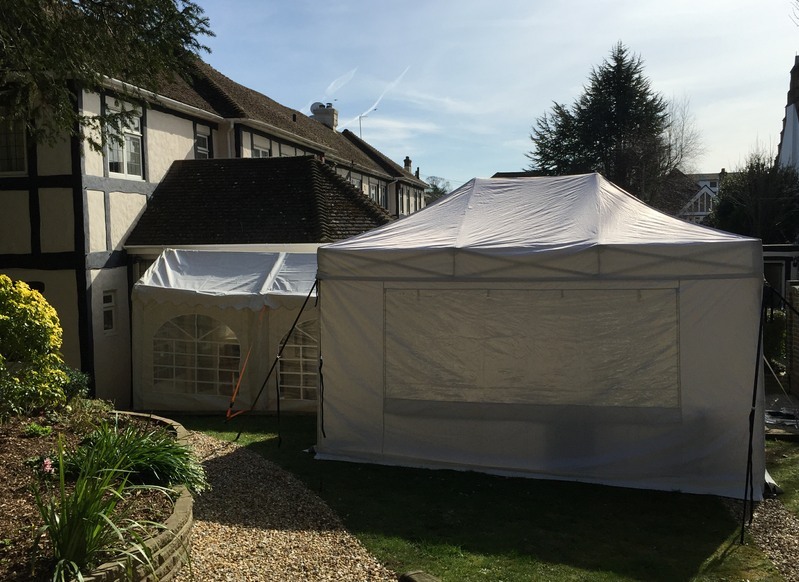 The gazebo can be extended to a height of 2.20m. This Gazebo comes with one door on the 4.5 m side, two window panels on the 3m side and one solid panel on the 4.5 m side.The beauty of this particular gazebo it will fit flush against your house and above most average door frames, including the step down from your property. 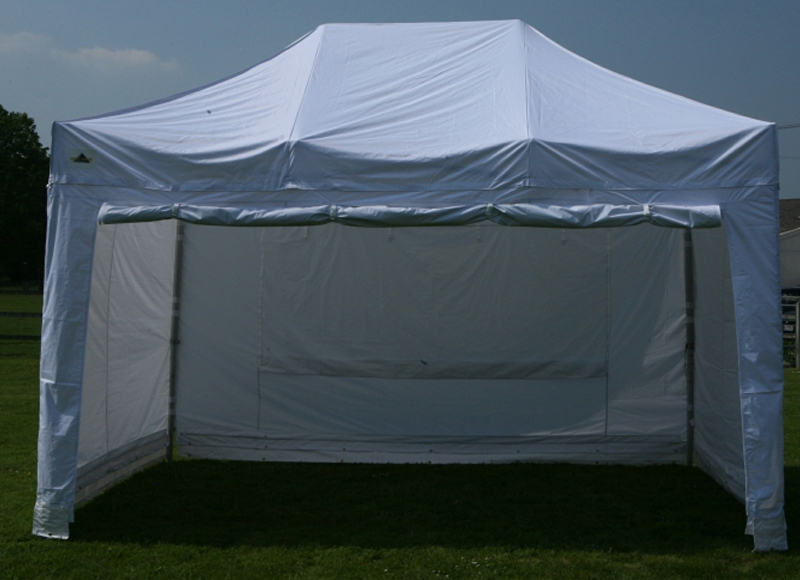 2) Standard Gazebo 3m x 4.5m. The aluminium leg poles and frame are 50mm in diameter and 2mm in depth: the hexagonal framework provides exceptional strength, and benefits from all profile aluminium and steel joints. 500 Denier polyester PVC. Colour white roof and walls. Adjustable legs so can be put up on uneven surfaces such as small steps. The height of the entrance is adjustable from either 1.85m or 2.0m.